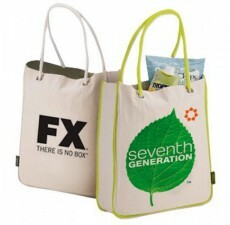 Cotton Bags, Brand Promotion, and Saving the Earth – There’s a Connection! 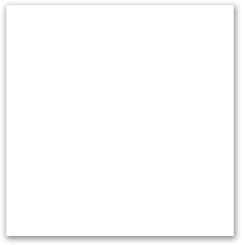 The grim fact is that literally billions of plastic bags are thrown away each year, and this has been in the spotlight for a long time. It’s a constant waste, bad for animal populations, and a major burden on landfills. 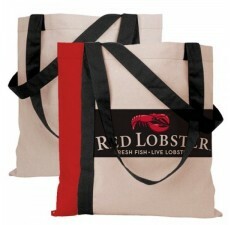 There is, however, a growing trend that offers some hope – reusable bags and totes. 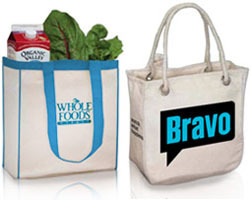 Since 1999, the number of people using reusable bags for their shopping has quadrupled, and the movement towards these more environmentally-responsible products continues on a path of steady growth. Did you know that your business can not only help this trend, it can also boost its environmental profile and greatly expand the reach of its marketing message at the same time? 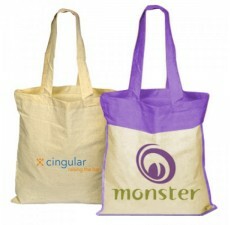 By distributing eco-friendly cotton bags printed with your brand message to your current and prospective customers, you can promote green alternatives and strengthen your credentials as an environmentally-aware company or organization. 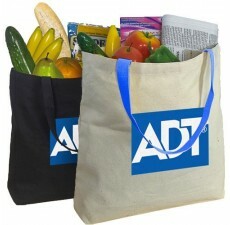 It’s a win-win – you reduce the amount of plastic waste choking our landfills and oceans, and at the same time you put your company message in front of thousands of new prospects with recycled reusable bags. Our organic cotton bags use cotton grown with the latest eco-friendly practices, and make a great alternative to regular non-woven bags. 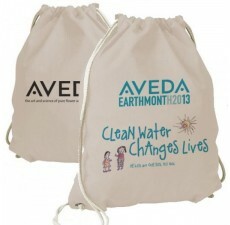 These recycled reusable bags use natural fibers and are easy to maintain (just wash and dry), convenient to carry, and simple to store. 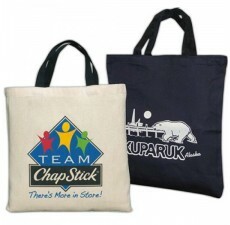 Plus, with your marketing message printed in our durable inks, every bag is not only a boon to the environment, it’s a bump to your bottom line as more and more people see your brand message! 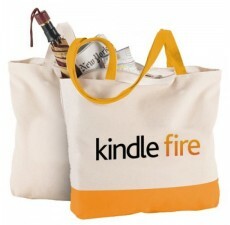 Distributing free customized cotton bags to your patrons is like handing out portable billboards advertising your company’s products and services. 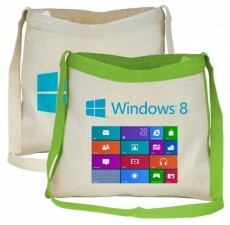 Customized cotton bags are manufactured from 100% organic cotton, are lightweight, handy, durable and stylish enough to show off. At XYZ, our high professional standards and modern manufacturing plant ensure that you get the best bang for your buck. 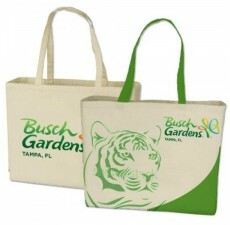 Every business needs a high-quality yet affordable promotional giveaway that enhances their messaging – adding the “green” factor is icing on the cake. And it’s an icing that your increasingly green-conscious customer base will genuinely appreciate. 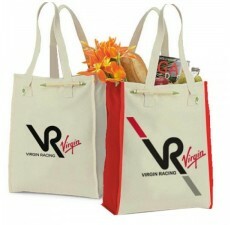 Custom Grocery Bags offers an exciting range of colorful and stylish recycled reusable bags for promotional purposes. 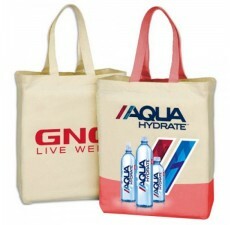 With complete flexibility to print company logos, slogans, messages and impressive graphics, you can pick from a range of sizes from small grocery totes to large shopping bags. Whether you need a few hundred bags or a few thousand, our well-equipped factory can assemble your top-quality custom totes quickly and efficiently. And because our products are light and space-efficient, our compact packaging saves you substantially on shipping costs. So what are you waiting for? 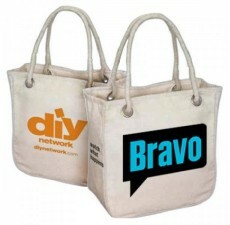 Give your brand promotion an organic cotton twist by contacting Custom Grocery Bags today! 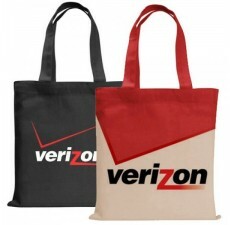 Shoddy or cheap-feeling bags will backfire as promotional items – your company will be associated in the customer’s mind with the tote bag they have that’s falling to bits after just a few uses. That’s why we produce only the highest quality bags and never compromise on quality. 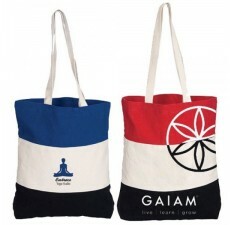 We ensure that every organic cotton bag produced has the best stitching and is correctly printed so that your customers will be happy to carry around these trendy and eco-friendly alternatives. 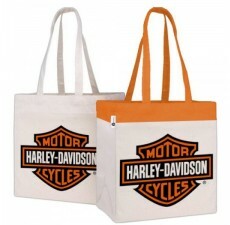 Whether you need a few hundred bags or a few thousand, our well-equipped factory can assemble your top-quality custom totes quickly and efficiently. And because our products are light and space-efficient, our compact packaging saves you substantially on shipping costs. So what are you waiting for? 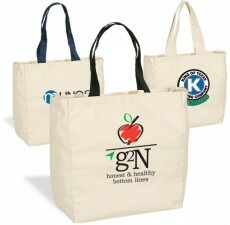 Give your brand promotion an organic cotton twist by contacting Custom Grocery Bags today!